Well, we survived it! The Nelson family’s Freshpet Fridge Challenge is complete! Woohoo!!! We made it an entire week without our refrigerator, and we are ALL looking forward to having our favorite fresh items at the crack of dawn tomorrow! The kiddos can’t wait for some milk and cereal, and I may even cook them up some eggs and turkey sausage for breakfast in the morning. I, on the other hand, can not wait to have my yogurt in the morning and might just treat myself to a cold glass of rose’ tomorrow night! 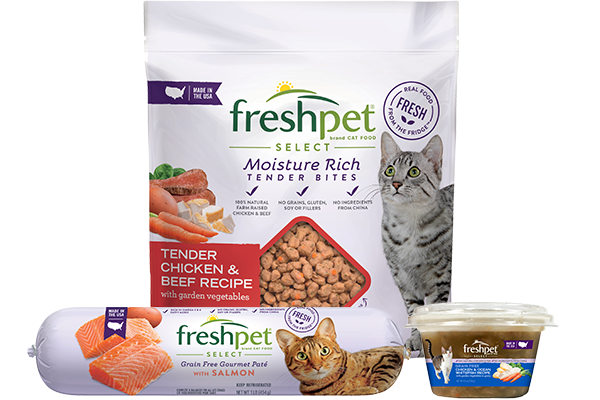 While this week has been tough, I am SO THANKFUL that Freshpet asked me to kick off the Freshpet Fridge Challenge. What an eye-opener this has been for me in so many ways! Looking back on the week, I definitely realized just how dependent we are on our refrigerators; but I don’t take this as a bad thing. In fact, the fridge really brings some major positives into our lives. 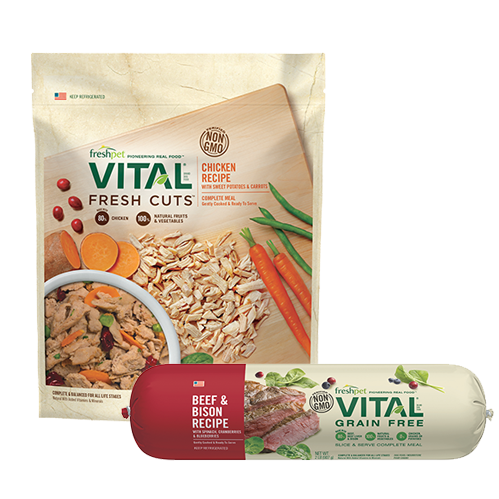 I’ve identified two key learnings about the importance of fresh, refrigerated foods: Health: As a veterinarian, I know how important eating healthy can be in both our lives and those of our pets. Without the fridge, I found myself pulling shelf-stable foods from the pantry. Some of them had been there for nearly a year – yikes! Then I thought to myself, why have they been there for so long? With added preservatives and trans fats, these everlasting foods not only lack nutritional value, but also don’t help our waistlines either. 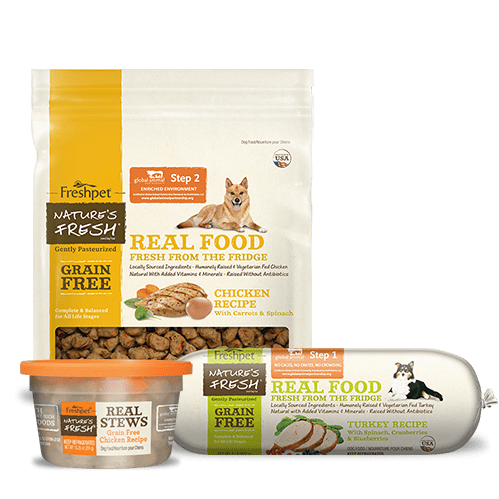 In taking the Freshpet Fridge Challenge, I had a hard time resorting to the pantry every time we were hungry because I knew the energizing, healthy foods I love couldn’t be found there. 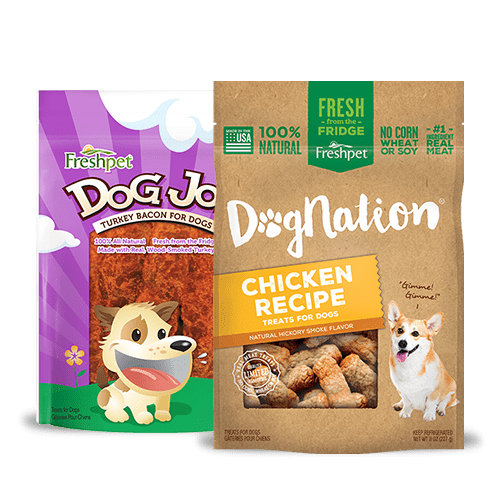 Once I really got to know the ingredients on our shelf-stable foods, I began to think more about what we’ve been feeding our pets. Convenience: I know I’ve said it over and over again in my videos, but “convenience” really has been standing out as one of the words of the week for me. Rather than open our refrigerator doors and pull out fresh veggies or leftovers, we open the pantry doors for what is equally as convenient, yet far less healthy. Without the fridge, we looked for additional ‘convenient’ options as well, like ordering in or eating out, which can put a dent in our wallets and a bulge in our waistlines! So what does it all mean? Well, lucky for us, we do have the choice to feed our families delicious, healthy foods kept fresh for us by the trusty fridge. 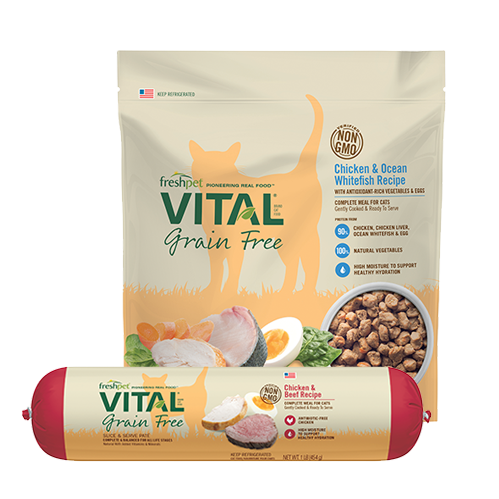 Our pets, however, aren’t always so lucky: they don’t get to choose whether we feed them fresh foods or shelf-stable foods from the pantry. I now know how I feel after eating a week of mostly food from a box, and I have to say, I don’t like it. 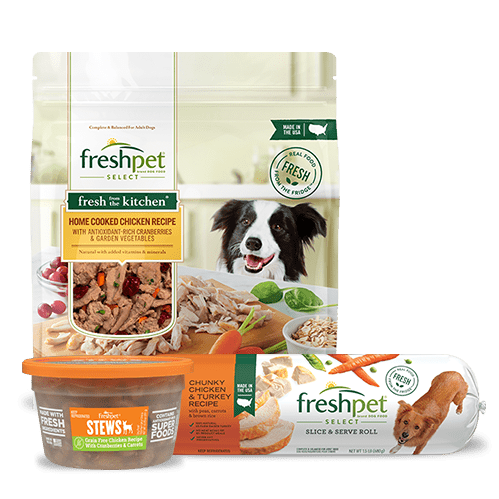 I think our pets deserve a better choice than that, and I really believe that choice is the fresh meats and veggies made just for dogs and cats by Freshpet. Thanks to Freshpet, I’ll never look at my kitchen the same way again (in a good way!). Likewise, the way that I recommend pet foods to my clients will never be the same either. I’ll be referencing my experience during the Freshpet Fridge Challenge when I see my clients, encouraging them to also consider life without the fridge when feeding their pets. At the end of the day, fresh, healthy foods lead to a healthy body and healthy lifestyle for our pets, and for us. 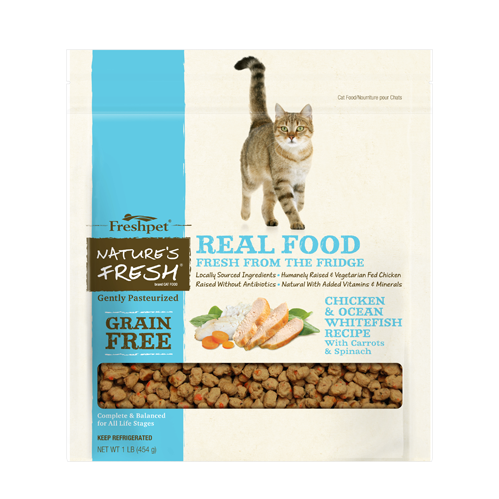 With Freshpet right at our fingertips, why would we ever choose to feed our furry loved ones any other way?